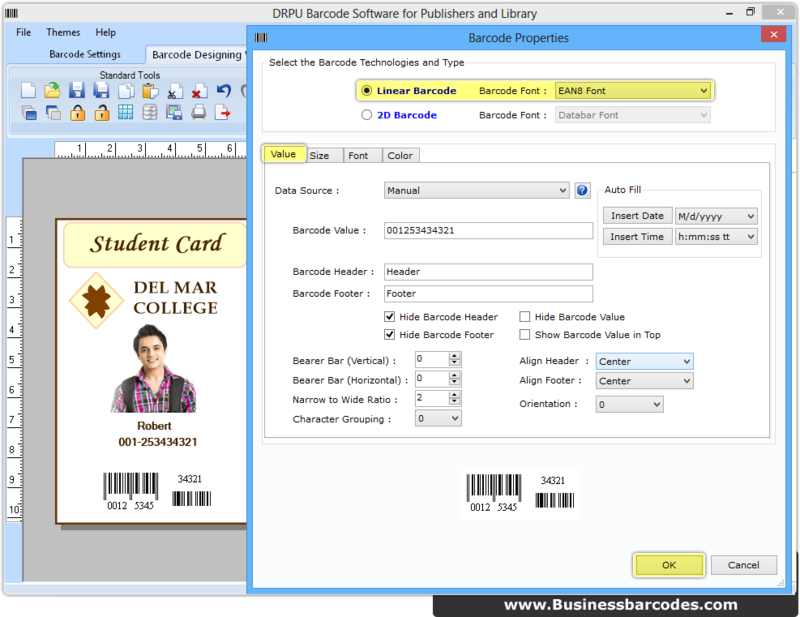 Select bar code technology and its font type then enter value of barcode along with header and footer. You may also change barcode size, font and color. 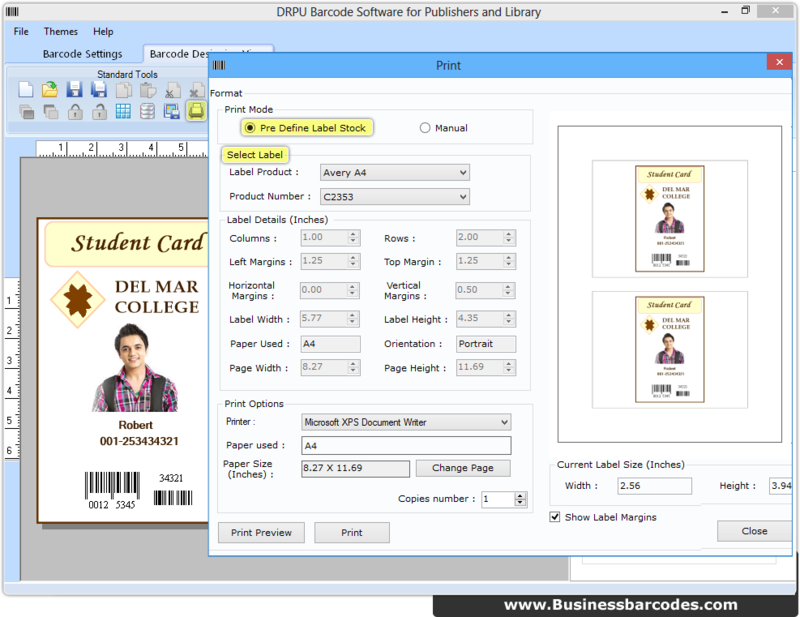 Go to print option and choose print mode (Pre Define Label Stock and Manual). Set other attributes as per requirement. Print preview facility is also available to avoid errors during printing.